1. Chicken fillet - 1.2 kg. 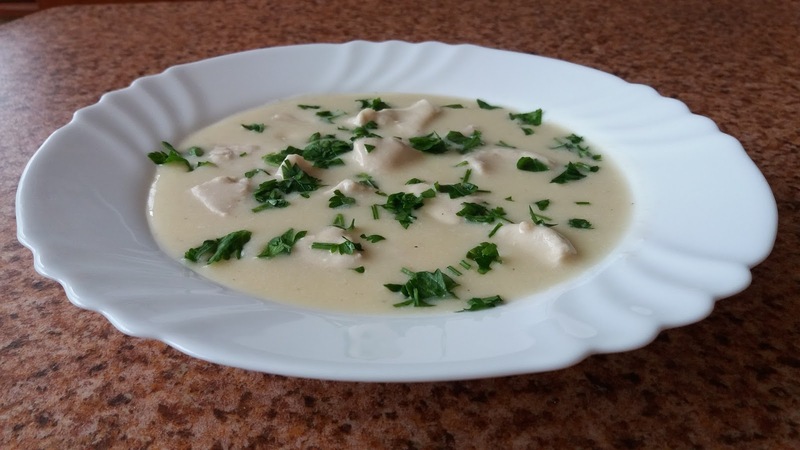 Chicken fillet is cut into cubes, poured with 1.5 liters of water and boiled. The cow butter and oil are heated until the butter melts. Add the crushed garlic and flour and fry for 1-2 min. then add in portions the broth in which the fillets is boiled. After thickened is added the fillet and allowed to boil over at low heat for 10 min. stirring occasionally. Then add the yogurt mixed with the broken yolks, the lemon juice and the ground black pepper. Allow to boil for another 5 min. remove from heat and add salt. Before presenting sprinkle with chopped fresh parsley.